Water-cooled, V version (90°) 8-cylinder engine with turbocharging and charge air cooling. Engine and exhaust aftertreatment (EAT) are optimised for highest total system efficiency and thus ensure lowest consumption and total operating cost. 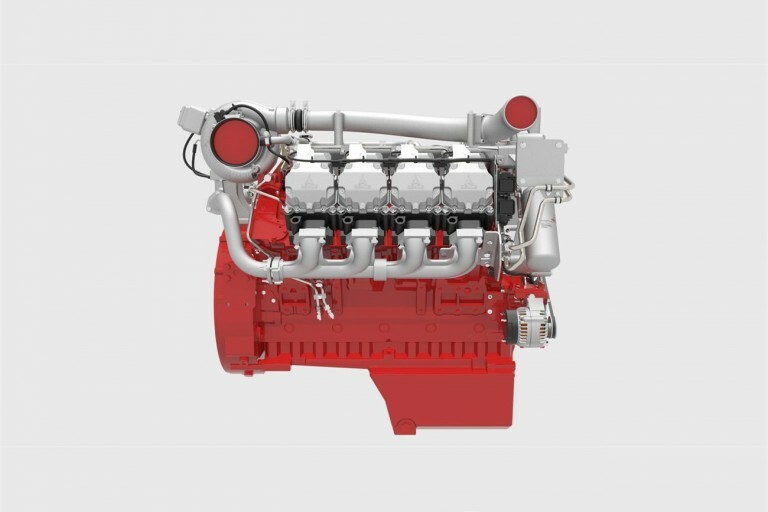 Consistent installation and connection dimensions of the engine facilitate the changeover of existing installations to the next stage of the emission laws. The engines have a modular exhaust aftertreatment system (EAT) with components from the DVERT® kit and optional configuration variants. This means a high flexibility in machine integration for the OEM.